There are many details to consider when choosing a Magento 2 hosting option for your eCommerce business. Before beginning the process, you should have a comprehensive understanding of what hosting is, the hosting company’s responsibilities, what you as the merchant are responsible for, and how to choose the best Magento 2 hosting company for your eCommerce store. What Is Magento 2 Hosting? It is important to understand what Magento 2 web hosting is. 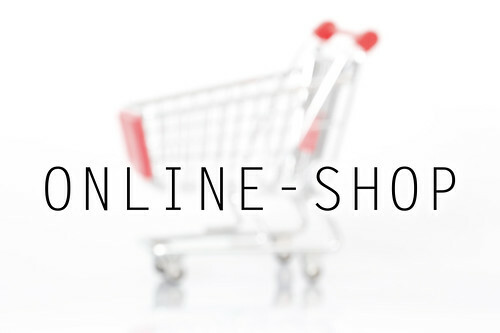 A hosting company such as IronPlane stores your eCommerce business on one of its servers, allowing potential customers to access your website via the internet. When you select Magento Commerce, Magento hosts your eCommerce website along with any required infrastructure and optimization. Hosting providers, even those specializing in Magento 2 web hosting, do not push Magento patches, upgrades, or updates for several reasons. The primary reason is that the hosting provider is not being paid to complete these tasks. If you’re paying for managed hosting, you are paying to have your eCommerce site hosted on that company’s server and for it to handle any server-specific issues. You are not paying the company to address problems with the website itself. Because Magento is an open-source platform, users can decide if they are going to apply available patches, make upgrades, or install additional elements to their eCommerce store’s core code. Some companies choose to run their Magento eCommerce stores using Magento 1.4, never applying a security patch and implementing numerous core overrides. Each Magento eCommerce site is customized to meet the unique needs of that site. This can include operating on various versions, applying a variety of security patches, and utilizing numerous extensions, some of which might be outdated. Due to Magento’s open-source nature, it cannot provide blanket updates to users. Only apply updates, patches, and upgrades after carefully considering the effect they may have on your customized site. Pushing updates automatically can result in overriding or breaking some features on your site. A Certified Magento Development agency can help meet your Magento eCommerce store’s unique needs before implementing website changes. IronPlane tests any suggested changes in a safe development environment, identifying how those changes might affect your eCommerce store and ensuring your site is working correctly before installing them onto your live website. Consider the following factors when selecting a hosting provider for your Magento eCommerce site. Third, you must identify the amount of support you will require from a hosting provider, decide whether you need the services of Magento Commerce or managed hosting, or determine if you can handle managing hosting responsibilities internally. Finally, you must review the various hosting providers’ available features, including price, support hours, backups, server security, scalability, SSL encryption, PCI compliance, and firewalls. Selecting the best hosting provider for your Magento eCommerce store is critical to the overall success of your business, as hosting directly affects your online store’s speed and performance. In doing so, you must understand what hosting is, what services hosting providers provide, and make sure you seek out the assistance of a Certified Magento Development agency such as IronPlane. We’ll help you apply upgrades, patches, and updates in a secure and safe way that won’t adversely affect your store’s operation. Contact the Magento experts at IronPlane today to get started on building your eCommerce business.